Hello everyone hope you are having a lovely day. 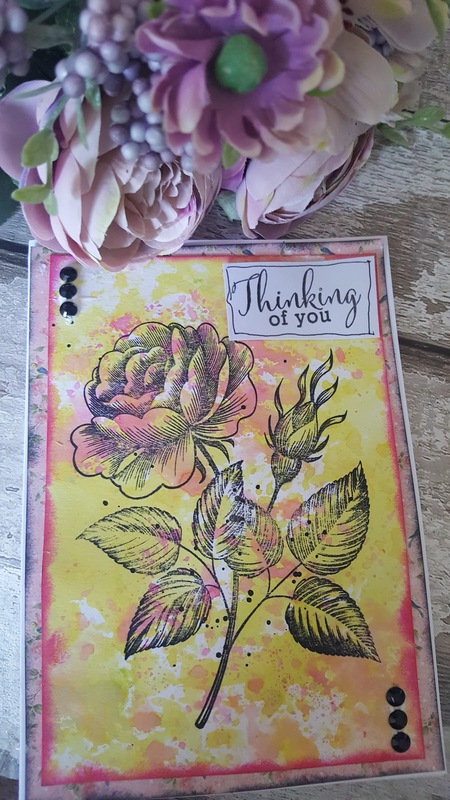 Today I am sharing this card that I made using thelovely Rose stamp. I am finding it hard to get into my craft room at the moment with the children being on school holidays so when the chance comes off I run to create. 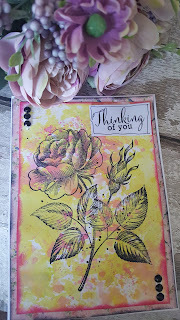 I used my DI stress Oxide inks to create my background and then used the lovely stamp as my focal image. Hope you like today's card. Watch my tutorial on You Tube. Thank you for looking.